Struggling to wrap your head around your advertising business with so many monetization partners, spreadsheets, devices and ad types? 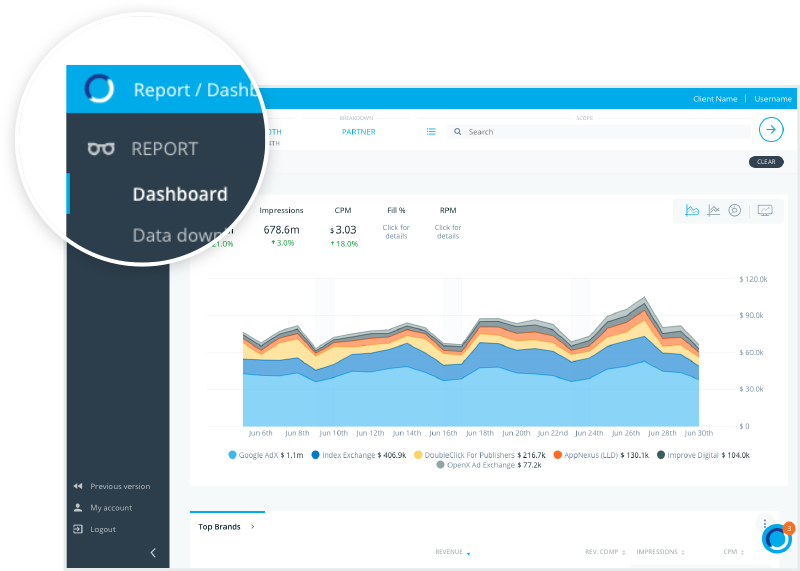 Report is the first cross-channel data aggregation tool that unifies all your advertising data into a single holistic dashboard. 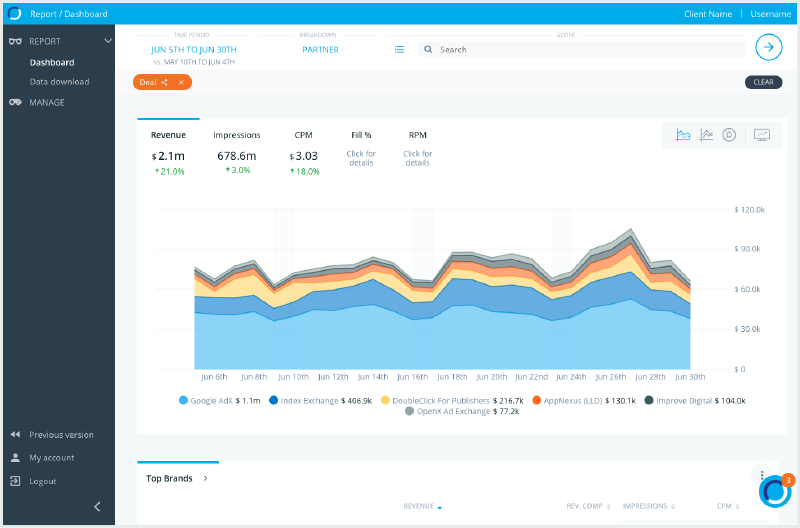 Revenue, impressions, CPM, CTR, transaction types, deals, sizes, devices, agencies, brands, etc.